Simplify the tying of articulated streamer and intruder flies. 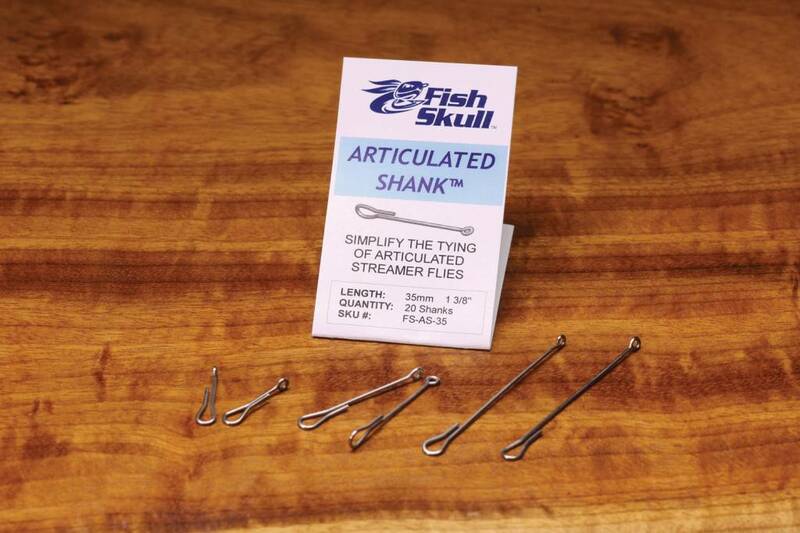 Fish Skull Fish Mask, Ultra lightweight masks are designed for tying weightless streamers that suspend in the water column. 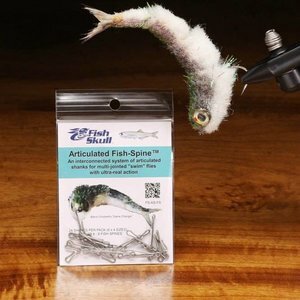 Fish-Spine is a series of specifically-designed articulated shanks that allow you to create multi-jointed, highly articulated streamers. 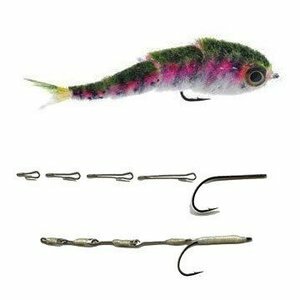 Tie animated baitfish patterns with ultra-lifelike action. 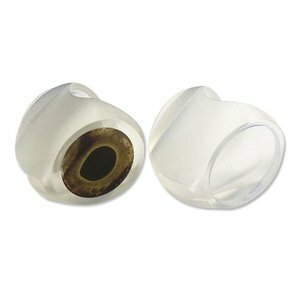 Fish Skull Living Eyes, Realistic 3D eyes created using photo-real holographic technology. 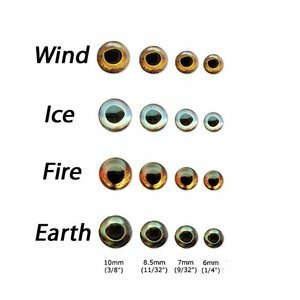 In earth, wind, fire, ice colors. 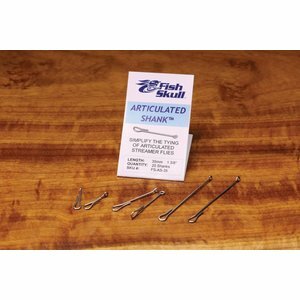 Available in Sizes: 6mm,(20 per pack), 8.5mm & 10mm (16 per pack).